As temperatures cool outdoors, creativity heats up in theatres across San Diego. 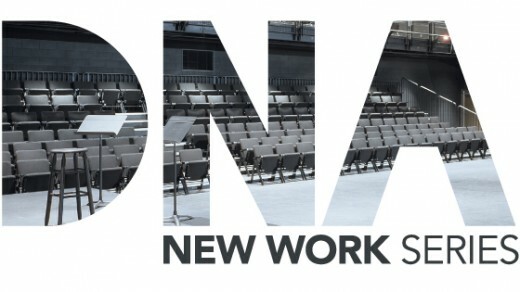 Check out the grandest form of all theatre with the beautiful and bold productions at the San Diego Opera, or get an intimate view into the theater workshopping process with La Jolla Playhouse’s DNA New Work Series. Check out the San Diego Theatre Preview below for more Winter 2013 must-see shows. 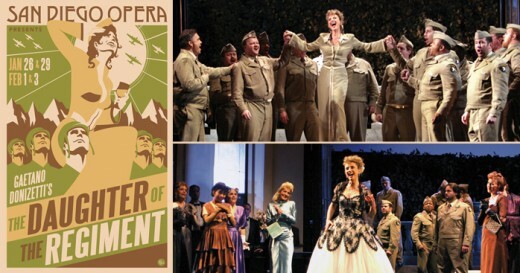 San Diego Opera kicks off an exhilarating season with Donizetti’s sparkling and hilarious, The Daughter of the Regiment. The story tells of the orphaned French girl, Marie, adopted by a regiment of soldiers in the waning days of World War II. The independent, spunky Mario love Tonio, a peasant, but the Marquise tries to marry her off to a rich Duke. Luckily for Marie, the Marquise is thwarted and Marie is free to marry Tonio. Hear, hear, for opera with a happy ending! Old Globe Theatre presents George Bernard Shaw’s most popular modern masterpiece (which Lerner and Loewe adapted as the musical My Fair Lady), Pygmalion. The poor flower-seller Eliza Doolittle is in the right place at the right time, just as speech professor Henry Higgins makes a friendly wager that he can change her accent and pass her off as the epitome of English society. 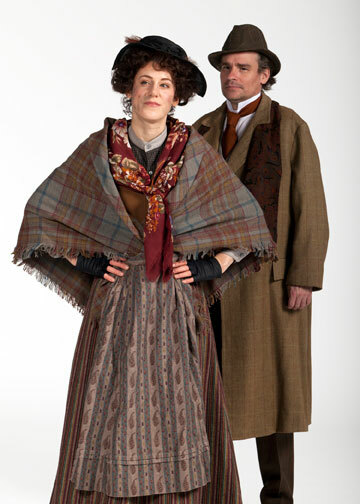 Pygmalion is a funny, touching, unforgettable battle of wits between two of the theatre’s most iconic characters. La Jolla Playhouse announces a new play development initiative, the DNA New Work Series, which will entail a six-week period of workshop productions and readings of new plays and musicals. First up is Chasing the Song, which follows a group of pop songwriters and the changing sounds of music charts in the early 1960’s before the Beatles emerged and transformed the entire music world. Lamb’s Players Theatre welcomes Pete ‘n Keely to the stage. The year is 1968 and it’s been a thrilling week of rehearsing at the NBC studios for the live telecast of Pete and Keely Reunion Special. This Off-Broadway hit is packed with classic favorites like, “Besame Mucho,” “Secret Love” and “Fever” as well as great new songs. For a moving and thought-provoking start to 2013, Cygnet Theatre presents Gem of the Ocean. Gem of the Ocean is chronologically the first of ten plays in August Wilson’s acclaimed Century Cycle examining African-American experience in the 20th century. Citizen Barlow sparks a chain of events that drive a community into turmoil and set him on a journey, guided by 285-year-old Aunt Ester, towards personal redemption.